The 22 Dec 2008 was a work day but it was exciting. 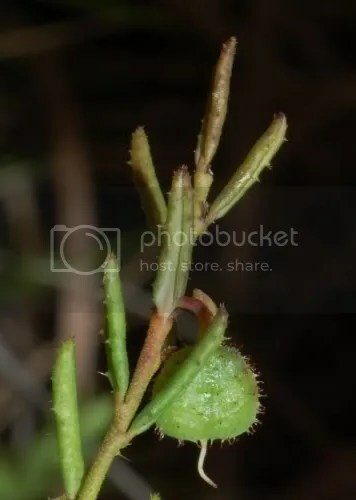 I made a trip up to Beaconsfield with Mick Ilowski and Felicity Hargraves to do some seedpod counting of the endangered Shy Pinkbells (Tetratheca gunnii). Mick and some other staff of the Threatened Plants Unit, Department of Primary Industries and Water, have been monitoring the population of Tetratheca gunnii for around a decade. A couple of weeks prior to our visit, they had hand-pollinated some individuals and we wanted to get some follow up data to see if the plants are setting seed well. As with many threatened plants, Tetratheca gunnii had very patchy distributions in the area, some kilometers apart from each other. It is really hard to understand by the plants would be found in such discrete patches with a continuous distribution. We visited a couple of sites with two rangers who graciously came along to help with the seed pod counting. 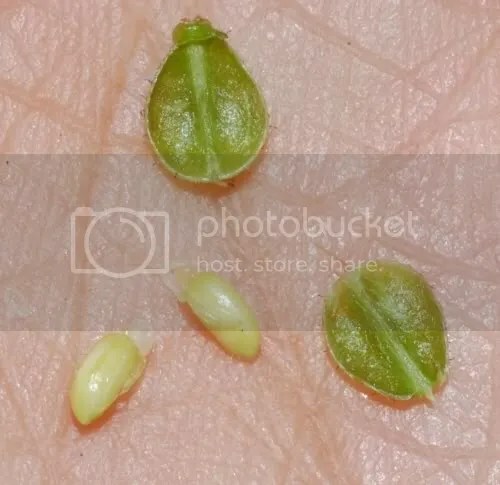 After the whole exercise, the general sense we got was that there was very little seed pod production relative to the number of flowers that were hand pollinated. The number of plants also seems to be declining. Fortunately, the Royal Tasmanian Botanical Gardens maintains a good ex-situ population of the species. I went back with Mick just this Monday to take a look again but all the seeds had dropped off by then. Seed collection will have to wait another year. 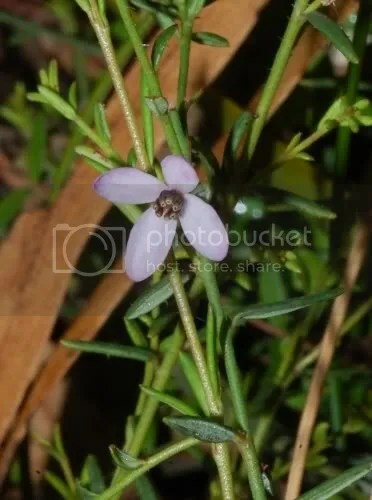 This entry was posted in Fieldtrips, Threatened Plants and tagged Beaconsfield, Shy Pinkbells, Shy Susan, Tetratheca gunnii, Threatened Plants. Bookmark the permalink.